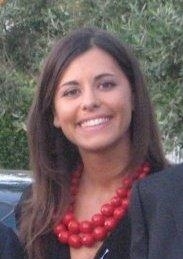 Miriam Giorgio (1979) is a lawyer at the Region of Puglia. She has been collaborating with the MIPA CONSORTIUM (Consortium for the development of methodologies and innovations in public administration) to provide technical assistance to the EU Convergence Regions (project POAT-DAGL) for better regulation since 2012. She has been assisting the chair of Prof. Giulio Vesperini at Tuscia University since 2007. She had been Professor in Administrative Law and Administrative Criminal Law at Tuscia University during the period 2009-2012. Lecturer in the Masters ‘Administrative Law and Science of Public Administration’(DASA) at Rome III University(2009-2012). Professor in Principles of Public Law in Master’s degree in Management Science at Tuscia University(2007-2009). She received her PhD in ‘History and comparison of European legal and politician systems’ at the Department of Political Science – University of Messina(2007). She was granted a scholarship for three academic years 2003-2006. She took a Higher Training Degree in ‘European Private Law’ at the Department of Law – University of Bari (2004). She was visiting lecturer at the chair of Public Law, Historical Section, at the Departmentof Law – University of Bari (2003-2006). She took an honors degree in Law at the Department of Law – University of Bari, with an invitation to continue Academic career (2002). In 2005 she achieved license to practice law. She signed several publications for the magazine ‘Giornale di Diritto Amministrativo e Urbanistica e Appalti’ and for Giuffrè publisher. As far as impact assessment is concerned, she monitors the work of AGCOM. She is author of the chapter about the relationship between regulatory impact assessment, judge and parliament in the book “L’analisi di impatto della regolazione. Il caso delle autorità indipendenti”. Il Mulino publisher (2013).